In a word, the LuLaRoe “Shirley” kimono can only be described as ethereal. 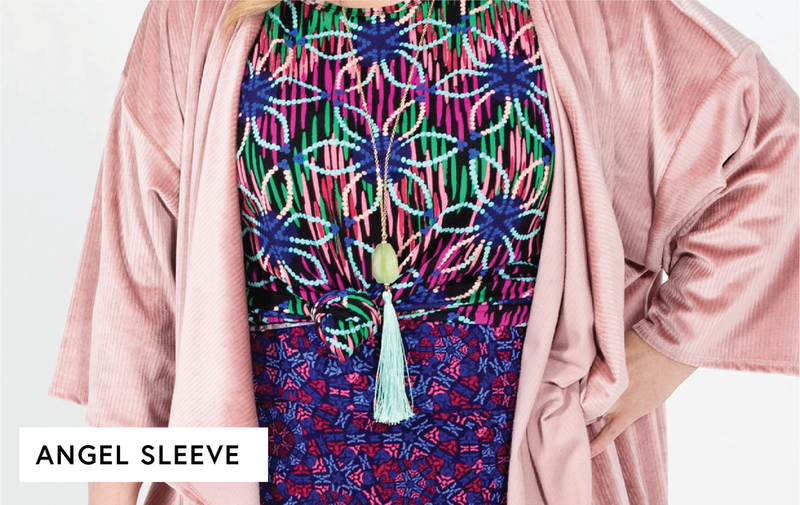 Long, flowing and boasting a dreamy angel sleeve, the kimono comes in the prettiest patterned chiffons, laces and haccis. Whether you’re poolside and wearing the Shirley over a swimsuit, or have layered it over a beautiful dress, you’re sure to be giving off those movie star vibes. Own it!